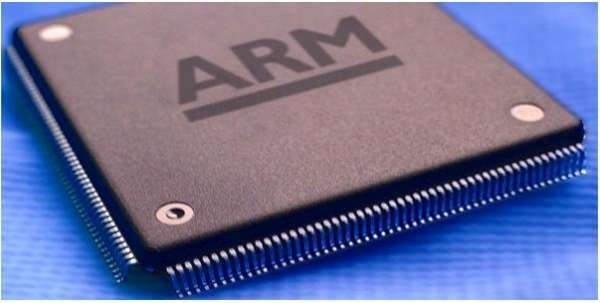 ARM announced that they will release 64bit microcontrollers. The ARMv8 uC will feature a 64bit instruction set, as well as extended virtual addressing. The uCs will have two execution states, AArch32, and AArch64. While the AArch64 handles the 64bit instruction set, the AArch32 executes the existing ARM 32bit instruction set. A compiler for the new 64bit instruction was already developed, and open source support is promised. This entry was posted on Friday, November 4th, 2011 at 11:00 am	and is filed under ARM, News. You can follow any responses to this entry through the RSS 2.0 feed. You can skip to the end and leave a response. Pinging is currently not allowed. Want! Hopefully there will be packages with leads available. ARMv8 broadens the ARM architecture to embrace 64-bit processing and extends virtual addressing, building on the rich heritage of the 32-bit ARMv7 architecture upon which market leading cores such as the Cortex™-A9 and Cortex-A15 processors are built. See the “A” in “Cortex-A” there? That means they’re intended for “application processors”, not microcontrollers. In contrast, the NXP microcontrollers mentioned recently are “Cortex-M0″ based. (and you can guess what the “M” means) So that’s a hint as to who the intended audience for these cores are – think tablets and smartphones. It doesn’t seem like we’ll see any 64-bit ARM microcontrollers, at least not yet. Packages with leads probably aren’t that likely either. On the flip side, a bit further down, “data centers” and “cloud computing” are mentioned. I’m hoping that this means we can finally get servers and desktop computers with a decent instruction set. Supposedly Microsoft has already demoed Windows (proper Windows, not CE) on ARM, and porting open source OSes is just a matter of getting the hardware out there.